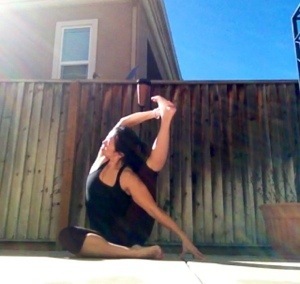 Parivrtta Surya Yantrasana is often referred to as Compass or Sundial Pose. 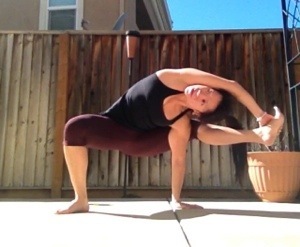 If you were in class this morning, this pose was weaved into my flow. I like it because it reminds me of the beautiful ice dancers in the Sochi Olympics. 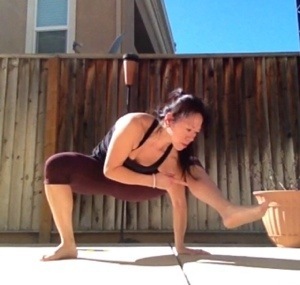 Here’s are the steps to approach the compass squat variation (it also reminds me of Vishvamitrasana) I demo’d today. Please warm-up and know that it does take time to open hips and hamstrings up. 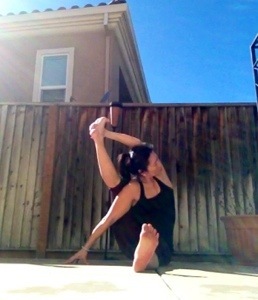 Be strategic about getting in the pose and listen to your body’s limitations. Remember, it takes time to build strength and openness in the body. If you don’t get it today, don’t be too attached. Stay in step 2 or 3. Your body will let you know when it’s ready to move on. Step 2. Lift your front heel and get your shoulder under the knee. Step 3. Front heel comes down. 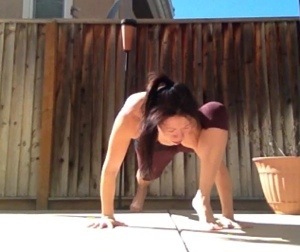 Front toes turn out a little in line with knee. Step other leg into squat position. Step 4. Walk the front arm out and back on a diagonal and place palm down. Place weight into that arm and see if the leg lifts. Step 5. 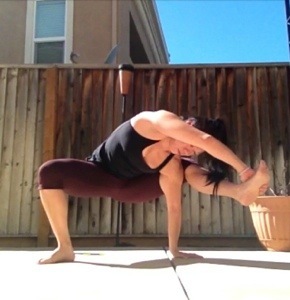 If you are ready…Opposite hand reaches for the outer edge of your foot. Step 6. Take your time to extend and look underneath arm. ← To Challenge or Not to Challenge? A week of growth.